Lauren (29) is from Sheffield and Ruby is her only child. She contacted Milk Matters when Ruby was just five weeks old after a succession of health professionals had fobbed her off. One doctor even laughed at her and said she’d wasted his time. Ruby was delivered early and was a forceps-assisted delivery. Lauren desperately wanted to breastfeed but was in agony whenever she tried. Ruby lost 12 per cent of her birth weight in the three days and was jaundiced, so was admitted back into hospital. Ruby was treated with UV light, which makes baby sleeping and is notorious for giving feeding problems. The midwives helped devise a feeding plan with Lauren expressing so Ruby could be fed, but she struggled to express the amount of milk needed in addition to the feeds, so formula was suggested. Breast-feeding supporters tried to help Lauren and Ruby, as feeding was still excruciatingly painful. They confirmed her latch was fine, but Ruby seemed to feed for very long periods of time. Milk Matters was suggested to Lauren by a friend on an internet forum. Lauren drove from Sheffield to see Charlotte in West Yorkshire. Lauren was shocked when, along with a few other minor problems, Charlotte highlighted how she thought Ruby had a tongue tie. “I felt so let down, it was like a slap in the face,” said Lauren. “Ruby had been assessed by three different paediatricians at the hospital. They had seemed so thorough, spending a lot of time checking her mouth among other things. Milk always tries to work with NHS health professionals, so Charlotte encouraged Lauren to discuss the options with her health visitor, and was directed to her GP. At the appointment with her GP Lauren said she thought Ruby had a tongue tie and explained the pain with feeding. The GP laughed and said that tongue tie didn’t exist, but that if it did, it doesn’t have any effect on breastfeeding. To confirm his point he called a colleague into the consulting room. This new doctor put his finger on Ruby’s lip and, when she touched his finger with her tongue, said this meant she wasn’t tongue-tied. The GP said that Ruby was doing fine on formula so Lauren should stick with that. He told Lauren she had been wasting his time and sent her packing. Having been fobbed off by her GP, Lauren got back in touch with Milk. They arranged for a specialist lactation consultant to come to her house the next day. The consultant snipped Ruby’s tongue tie and she went straight to the breast for a feed which was not at all painful for Lauren. But after so long without being able to breastfeed, Lauren had very little milk. Lauren says: “All I ever wanted to do was breastfeed my baby. Now the pain was sorted it was all I was focused on. I can honestly say that I would never have managed to successfully breastfeed Ruby without the support I received from Milk. “Milk recommended a hospital-grade pump and taking Donperidone, which helps increase milk supply. I bought the drug over the counter and used the pump every two hours for five weeks until my milk supply was sufficient to fully breastfeed Ruby, topping her up with formula in the meantime. “It was the hardest thing I’ve done, getting up through the night with Ruby and then setting an alarm to use the pump as well. But I was totally determined that I would be able to exclusively breastfeed my baby and, with the support of my partner, Ruby had her last formula feed on 28 May. “Five months later and Ruby is just starting to take some solids. 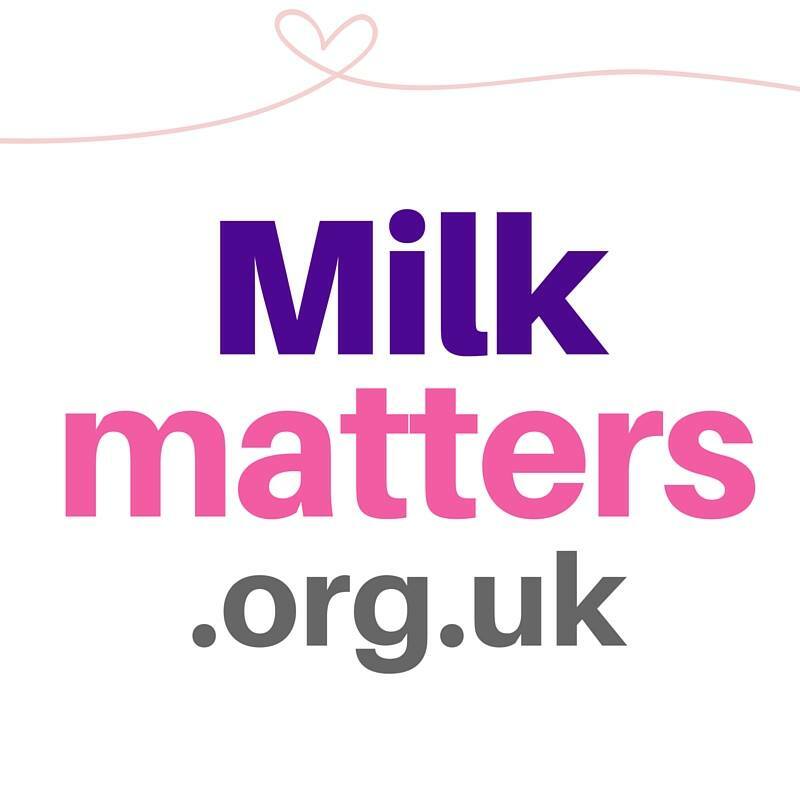 Sorting the tongue tie made a world of difference to my ability to breastfeed her, but the feeding plan and support I got from Milk Matters afterwards are what kept me going. “I’ve told the breastfeeding supporters who tried to help me about tongue tie and one has contacted Milk to learn more. That supporter has also raised the issue of tongue ties with the PCT and persuaded them to take on a doctor that will divide tongue ties.